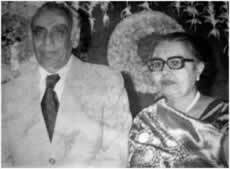 Dr. Praful H. Munshi was born on 1st January 1914. A self made man, lost his father at an early age of only four years. With extreme struggle & hard work, he created his own path from Junagadh to Ahmedabad and from Ahmedabad to K.E.M. Hospital, Mumbai. He achieved a milestone in 1942 when he completed his Post Graduation and was awarded with the degree of M.D. in Obstetrics & Gynecology from Bombay University. He returned to Ahmedabad as one of the very few qualified Gynecologist in the State. With the only motto of serving the society, he started his practice under the guidance and support of his maternal uncle, Jitubhai Desai at Khadia in 1945. 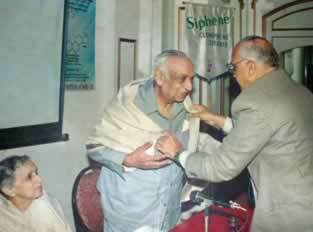 In new Ahmedabad, on the west side of the river, he owned his very first small clinic in Ellisbridge area. 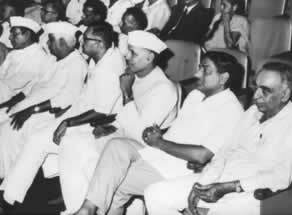 A giant leap in his career was his new venture at 50, Pritamnagar Society, the new building of Munshi Hospital (Yr 1960). It was first of its kind in this part of Ahmedabad with all facilities under one roof. With an unbiased aim of serving the society, he was attached to hospitals like Civil Hospital, V.S. Municipal General Hospital, & later on in L.G. Hospital and Gulabbai Trust Hospital, along with his private practice. 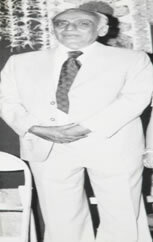 He retired from academic activity at the age of 60 years but continued his clinical work at his private clinic and helped many other private practitioners by providing right guidance till very late in his active life. To his fortune and his generation next, Dr. Atul Munshi, Dr. Kalpana, Dr. Sanjay & Dr. Neelima Thakore have joined the same noble profession to four successfully running hospitals. His second son, Dr. Ajay Munshi is a General Surgeon with professorship in Medical College. His son-in-law, Dr. Advait Thakore is an Anesthesiologist. 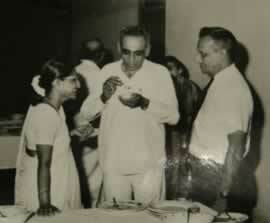 So, Dr. Praful Munshi cared for education in his 2nd generation also! A rare combination in current situation. Even, the third generation in the form of Dr. Sujal & Dr. Ami have recently joined the practice and further expanded the horizons to endoscopy & infertility practice. Dr. Priyangi, Dr. Abhijit, Dr. Rajita & Devangi are already medical graduates & are pursuing their P.G. studies. Kavina, the youngest is a budding medico. In a nutshell, he has left behind a huge medical tree. 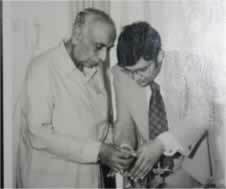 Dr. Praful Munshi died peacefully on 26th Dec. 2006 leaving behind a big family& many well-wishers & wide segment of society! He was a teacher par excellence, with many publications & awards to his credit. During his long active career he was a medical teacher for 30 yrs & private practitioner for more than 4 decades. A master of Vaginal Operative delivery, people used to come to see his forceps operation, even after he retired as a teacher. An honest, hard working & sincere obstetrician with pleasing bedside manners and above all a caring human being!